I am going to be inundating you with dresses this season because there are so many good ones! Honestly, I don't see myself wearing much else. So let's start with these six, that I promptly purchased last week. 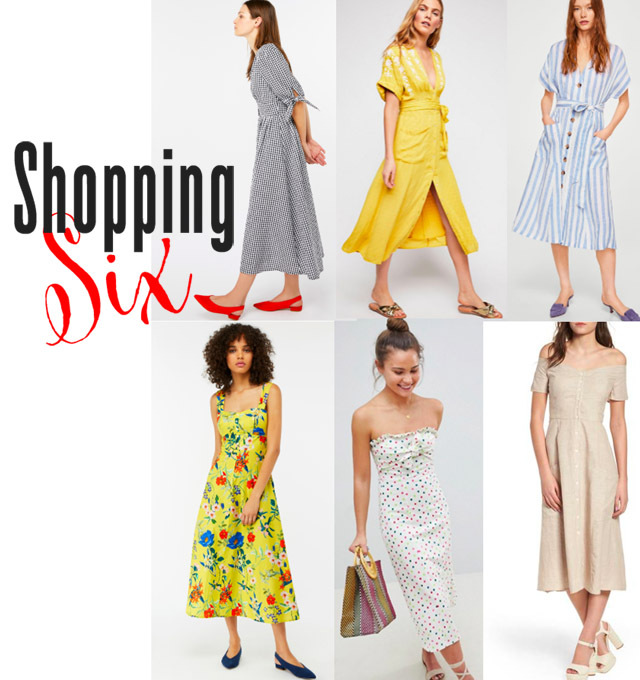 You'll be seeing these soon on style updates, but I wanted to give you a heads up now on these six, in particular, as I have a feeling each and every one is going to sell out. From stripes to polka dots, these dresses will take you from garden parties to summer festivals looking fabulous. Need I say more?